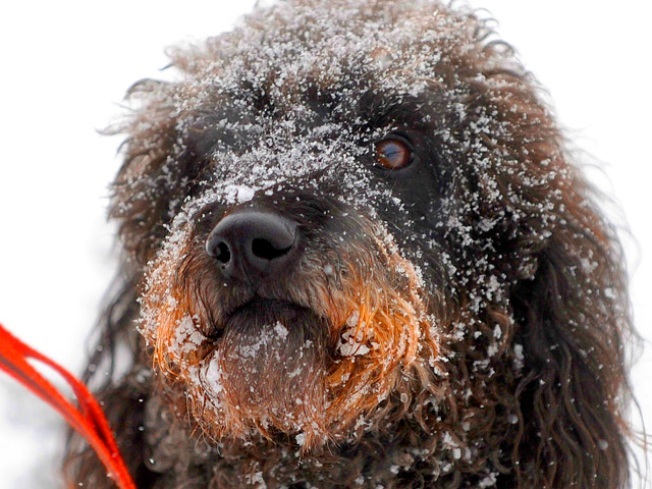 Sophie, a labradoodle, walks in the snow. Get your boots and shovels out. 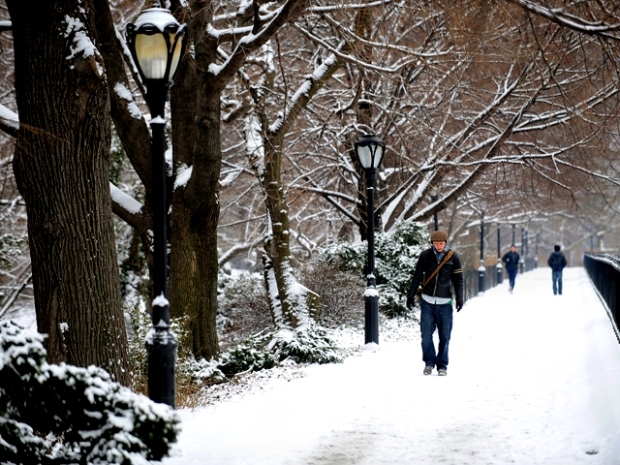 A powerful winter storm will be moving into the tri-state this weekend. Snow will move into the region from west to east on Friday night after the evening rush. The flurries will pick up in intensity overnight and some folks could be dealing with blizzard conditions early Saturday morning. The city expected to see snow around midnight tonight, but the first snowflakes are expected in Central New Jersey between 8 and 9 p.m. Friday. The greatest impacts from the storm are expected south of New York City, where snow totals of 12 to 18 inches are possible. Along the coast, especially in New Jersey the forecast calls for strong winds, blowing snow and minor tidal flooding. There will be a sharp cutoff to the heavy snow on the northern side of the storm, so that means residents North of New York City may see very little flakes with this system. Currently projections are for 2 to 4 inches in the city, with most of that falling on Saturday morning. 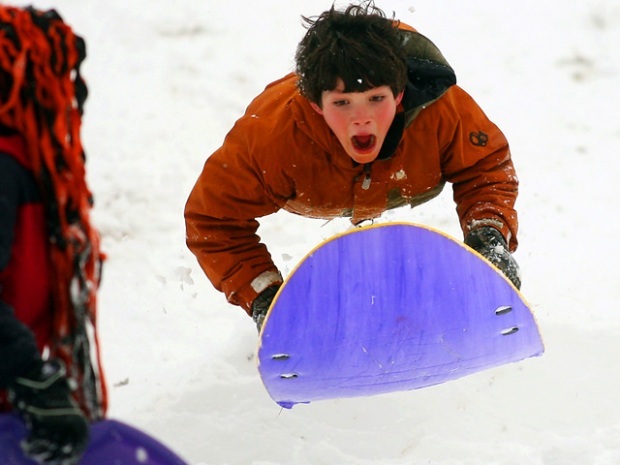 Mayor Bloomberg meanwhile says New York City is "on the ready" as the winter storm approaches. Bloomberg said on his weekly radio show that the salt spreaders and plows are positioned to go. There are currently winter storm watches for the five boroughs, as well as Nassau and Suffolk on Long Island, and Bergen, Passaic Essex, Hudson and Union counties in New Jersey. Blizzard conditions were expected along the southern stretch of the Jersey shore, including Ocean County. Snow was predicted to reach 22 inches there -- and nearly as high in the Philadelphia suburbs, with less in northern New Jersey. The National Weather Service said the first flakes would fall in the afternoon, with heavy snowfall starting in the evening in most areas. A blizzard warning was in effect from 4 p.m. Friday until 7 p.m. Saturday for Ocean, Cumberland, Atlantic, coastal Cape May and southeast Burlington counties. Most of the rest of the state had a winter storm warning. The populous northeastern corner had a winter storm watch. Only Sussex County, usually most prone to treacherous winter weather, did not have any sort of weather advisory. State road crews were preparing a fleet of 500 plows and salt spreaders, supplemented by about 1,450 contractors. Crews were getting ready elsewhere, too, including at Newark Liberty International Airport. The state Motor Vehicle Commission announced its facilities would be closed Saturday. People were running errands Friday to stock up on supplies for the weekend -- and not just bread and milk. At midday, the crowd at Wine Legend in Cherry Hill was the size you might expect to see around rush hour. Manager Krishna Reddy said the combination of the snow and Sunday's Super Bowl meant extra customers. In the parking lot, Mike Bateman, of Haddonfield, was loading six-packs of beer into his SUV, anticipating about a dozen friends coming over to watch Sunday's game. He usually would have saved the errand for Saturday, but knew the snow might make it hard to get out then. "The party's happening either way,'' he said. We can expect the entire system to wind down Saturday afternoon, and Super bowl Sunday looks to be dry but frigid. Of course, always check NBCNewYork's weather page for the latest up-to-the-minute forecast. And don't forget to download the NBCNewYork iPhone app free from the app store for weather updates, news and more.